The Bee will be held at Otis Elementary, at 3010 Fillmore, adjacent to Krusi Park and near the corner of High Street and Otis Drive. The Bee will be inside the Multi-Purpose Room (MPR), accessible through the main gate on Fillmore St.
Based on the number of participants, the bee may begin with a written exam of 30 words. Spellers’ performance on this test will be used to determine a group of 25-30 semi-finalists who will move on to the oral competition. All spellers whose scores are tied at the “cut line” will advance (i.e. there may be more than 30). While limited refreshments may be available, spellers and supporters are encouraged to bring light snacks (to be consumed during breaks). Please review the rules prior to the event: alamedaspellingbee.org/rules. These are closely based on the rules of the Alameda County Bee. We will review key rules in advance of each section of the competition. We are working hard to develop a list of words for the bee that are both challenging to spell but also relatively familiar and not overly obscure. The words with the highest level of difficulty will likely be more along the lines of “lieutenant” and “reminisce” than “acersecomic” (someone who has never had a haircut) or “truttaceous” (pertaining to or like trout). The Alameda Elks will serve as the Premier Sponsor of the Alameda Spelling Bee this year. The Elks have long been local leaders in promoting vocabulary and spelling among local students; each year, the Club donates hundreds of dictionaries to third-graders across Alameda. The Elks’ generous funding of the Alameda Spelling Bee will help cover costs such as trophies, prizes, as well as entry fees for top Alameda spellers to participate in the County Bee. 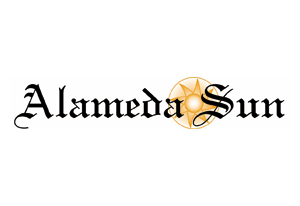 The Alameda Sun will again participate as an advertising sponsor, and the Sun’s co-publisher, Eric Kos, will serve as Spell Master, and the Bee Judges will be Alameda’s two Poets Laureate, Cathy Dana and Gene Kahane. Dr. Michael Jonas, Professor of Economics at the University of San Francisco, is helping assemble the word lists. Spellers and supporters alike are asked to keep in mind that, while this is a competitive event, it should be low pressure and enjoyable for the spellers. The goal is for everyone to have fun! Please send any additional ideas, comments, or questions to Chuck Kapelke at alamedaspellingbee@gmail.com.